Lachlan Hammon Ferguson, popularly as Lockie Ferguson is a New Zealand cricket player who was born on June 13, 1991 in the city of Auckland. Lockie is a right handed fast bowler and a right-handed batsman, but his primary role in his team is that of a fast bowler. He is the second player in the history of cricket to take two wickets on the first two balls of his career. Ferguson started his career of first class cricket in the domestic season of 2012-13, playing for Auckland in the Plunket Shield Tournament. It took him two years to make an impact in the tournament. After very ordinary performances in the 2012-13 and 2013-14 domestic seasons, he finally made an impact by taking a total of 21 wickets in the 2014-15 season. He repeated the performance in the next season as well by taking a total of 31 wickets, which earned him a place in the national squad. Lockie made his ODI debut in December, 2016 against Australia, where he was called in to replace an injured Adam Milne. He used his opportunity well and dismissed David Warner in his first over. But the subsequent overs of his spell were poor and he had conceded 73 runs by the end of the innings. New Zealand lost the match by 68 runs, and he was dropped from the team. 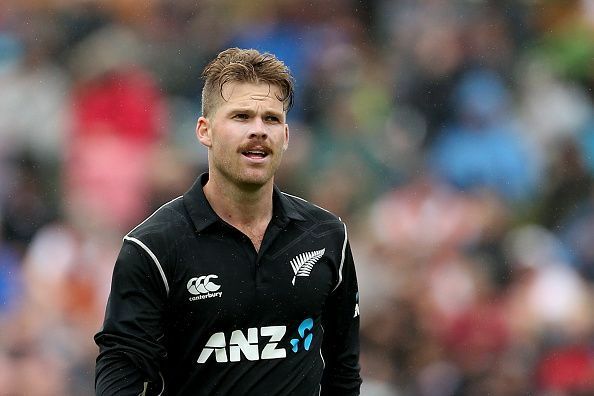 Lockie Ferguson was recalled for the third match between Australia and New Zealand in December but failed to utilize the opportunity and couldn’t take any wickets. He was later given a chance to play T20 against Bangladesh in 2017, where he took two wickets on his first two deliveries. He took three wickets in the match and was praised for his performance. This fetched him another place in the national team. Ever since Ferguson made his first-class debut, he has been battling with injuries every now and then which led to his dropping out from squads. But every time, Ferguson emerged victorious and has proven himself and is now a member of Auckland domestic team. Lockie Ferguson is an active player of the Indian Premier League. In 2017, he was a member of Rising Pune Supergiants and even won Man of the Match against Royal Challengers Bangalore for taking 2 wickets for only 7 runs. Besides IPL, he is not a member of any other cricket club as he is a young player in international cricket. Lockie Ferguson is one of the very few players in the history of cricket who has taken a wicket in his first over of his debut matches, both in ODIs and T20 international.